We are passionate in our belief that all children in Tanzania should have the opportunity to grow and thrive to reach their full potential. We believe wholeheartedly in a child’s right to have their basic needs met and access a good education. A child who arrives at school feeling healthy, happy and socially developed is a child with a solid foundation to fulfil their dreams and ambitions. 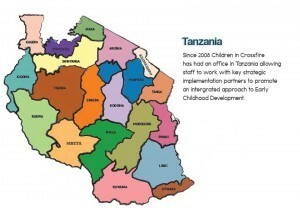 We work in Tanzania to ensure children get the best start in life through meeting their needs in the early years. 51% of the population are children. In Tanzania, with such a young population, it is today’s young children that are the future of the country. 35% of them are undernourished which affects growth and brain development and 70% of them do not attend any pre-school meaning they are not ready to learn when they reach primary schools. This compromises their lives before they have barely begun. Parents often don’t know how important these early years are and are not skilled in what they need to do to provide the best opportunities for their children. What are we actually doing about it?